Every 11 seconds, a Who HQ book is sold somewhere in the world. 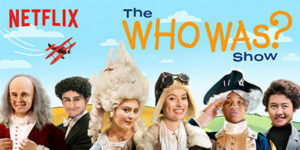 Now Penguin Workshop’s wildly popular children’s biography series is coming to Netflix Kids & Family in The Who Was? Show, a laugh-out-loud original series that tells the stories of famous historical figures from across the globe through improv, sketches, impersonations, music videos and animated shorts in a show-within-a-show format that is as entertaining as it is educational. [caption id="attachment_112711" align="alignright" width="180"] Francesco Sedita[/caption] Francesco Sedita, president and publisher of Penguin Workshop and an executive producer of the show, describes it as “The Muppets meets SNL meets You Can’t Do That on Television.” Sedita came up with the idea of creating a TV series based on the books, and even created a pilot episode. A few years ago, the Penguin Workshop team pitched it to potential partners at the Kidscreen conference, where it was picked up by Netflix. The Who Was? Show pairs two unlike historical figures in each episode and imagines what might happen if someone like Marie Antoinette were to meet Louis Armstrong, or if Bruce Lee met Julius Caesar. The 13-episode series, premiering on Netflix today, May 11, features a diverse teenage cast and appearances by special guest stars including Ellie Kemper, H. Jon Benjamin, Jane Krakowski, John Oliver and Andy Daly, among others. The show is helmed and written by a comedy dream team whose credits include The Daily Show, Conan O’Brien, Great Minds with Dan Harmon, and Roseanne. The Who Was? 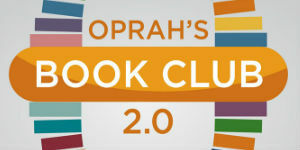 book series, the brainchild of VP and Editor-at-Large Jane O’Connor, launched in 2002 with 4 titles. Since then, it has become one of the most popular series in children’s books, known for its instantly recognizable cover art, which features historical figures illustrated as bobbleheads. In recent years, Penguin Workshop has introduced two spinoff series, Where Is? 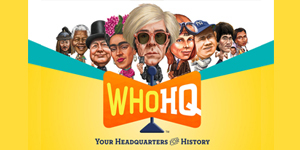 and What Was?, and collectively, the three series are known as Who HQ. By the end of 2018, the series that began with just 4 books will have become a brand encompassing some 231 titles, with more than 35 million copies in print worldwide. For an inside look at how Who Was? went from page to screen, check out Publishers Weekly’s interview with Penguin Workshop’s Francesco Sedita and Jane O’Connor. Computing skills are the most sought-after realm in the U.S. job market, yet research shows that the share of women in the computing workforce has declined from 37% in 1995 to 24% today. In 2012, Reshma Saujani recognized this growing gender disparity and founded the national non-profit organization Girls Who Code to inspire, educate, and equip girls with the computing skills to pursue 21st century opportunities. On Tuesday, August 22, Penguin Young Readers will join forces with Reshma and Girls Who Code to launch a new, multi-format, cross-imprint publishing program with the publication of GIRLS WHO CODE: Learn to Code and Change the World (Viking Books for Young Readers, for ages 10 & up) and THE FRIENDSHIP CODE (Penguin Workshop, for ages 8-12). 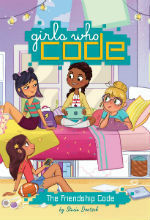 These books teach girls the fundamental principles of coding and allow budding female coders to see themselves reflected in our cultural narrative. 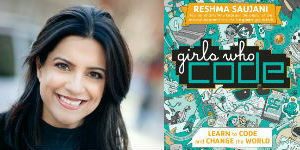 “When I first started Girls Who Code, I realized that there was a need for books that described what it’s like to actually be a girl who codes,” says Reshma Saujani. “I always say, ‘You can’t be what you can’t see.’ And that’s true for books, too. We need to read stories about girls who look like us in order to be inspired to try something new.” Reshma kicks off her national, 8-city book tour on August 22 at 5:00 p.m. with a Women in Tech rally at Union Square, followed by a book launch at 7:00 pm at Barnes & Noble, Union Square, with Reshma and Bustle.com editor Cristina Arreola in conversation. Major national media for the book launch includes interviews with Good Morning America, People.com, The New York Times, TIME for Kids, The Chicago Tribune and CNN, as well as review coverage in Family Circle and Scholastic Teacher. From Page to Screen: Netflix has ordered 13 half-hour episodes of The Who Was? Show, a new family variety series based on Penguin Workshop’s bestselling Who Was? series, slated for release in 2018.
and will “showcase an assortment of live-action, animated shorts, improvisations, sketches, musical performances and guest appearances.” The Who Was? Show is being developed by Penguin Workshop and producers FremantleMedia Kids & Family Entertainment (FMK), with Matador Content (Lip Sync Battle) co-producing, and Bento Box Entertainment (Bob’s Burgers) signed on as the animation studio. Comedy producer Rich Korson (Those Who Can’t, Great Minds with Dan Harmon) has been tapped as the showrunner and executive producer. 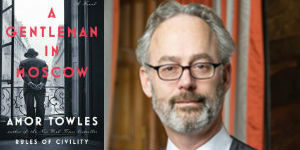 Bob Higgins, Jay Peterson, and Penguin Workshop President & Publisher Francesco Sedita will also executive produce. The series has an all-star lineup of comedy writers attached, including Conan O’Brien veteran Brian McCann, head writer Elliott Kalan (The Daily Show), Eric Gilliland (Roseanne), Delaney Yeager (The Daily Show) and Tami Sagher (Inside Amy Schumer). Launched in 2002, the New York Times bestselling Who Was? series tells the amazing stories of trailblazers, legends, innovators, and creators from throughout history and today. One of the leading biography series in the marketplace, the success of Who Was? led to two spin-off series, What Was? and Where Is? ; all three series are now published under the Who HQ brand. With over 185 titles published to date, and over 20 million copies sold, Who HQ is the ultimate destination for all things Who? What? and Where?